Don’t let lifecycle marketing scare you off. In a nutshell, it is about delivering the right message, at the right time, through the right channel, to the right customer. And it can be easily adapted to any size business. Reach out to your newest customers with a welcome letter or postcard. Create an informal survey to get to know your customers better and find out what their needs are. Send loyalty cards thanking customers for being there through the years. Keep customers coming back for more with incentives and discounts. Increase your customer base through referral programs. Regain business you may have lost through strategic letters, postcards and email blasts to provide additional incentives. 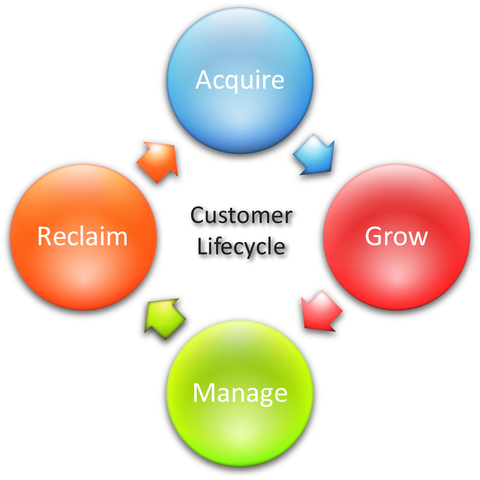 It may take a little time and effort, but lifecycle marketing isn’t complicated. Incorporate some of these ideas into your business today and watch your customer base and your bottom line grow.